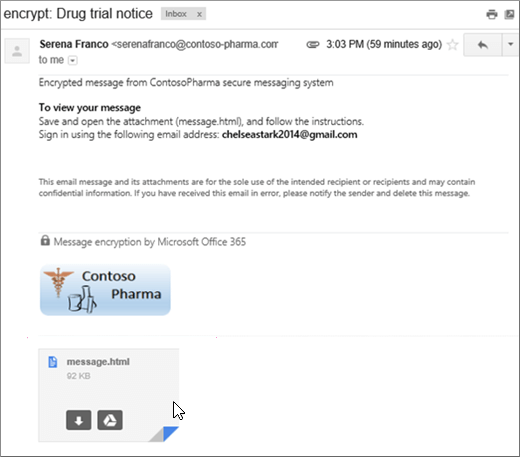 If you’ve received an encrypted message from an organization that uses Microsoft Office 365 Message Encryption, you can sign in with a Microsoft account or with the work or school account you use with Office 365 to view your message. 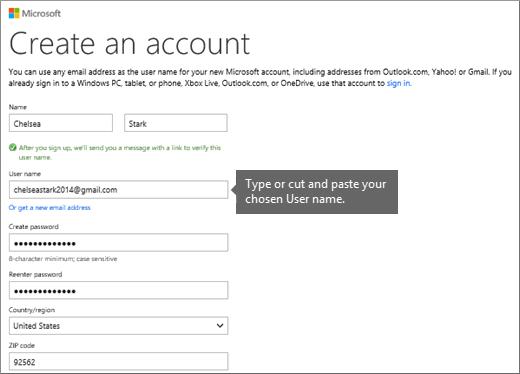 If you don’t have a Microsoft account, you can follow this procedure to create one. 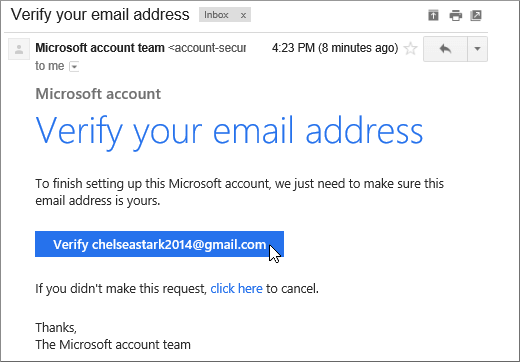 A Microsoft account is the email address and password that you use to sign in to Microsoft services, such as Outlook.com, OneDrive, Windows Phone, or Xbox Live. 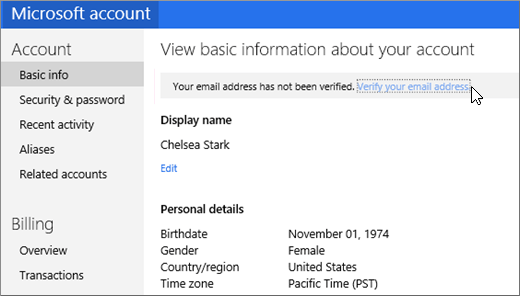 What is a Microsoft account? is a short video that’s helpful for understanding what a Microsoft account is and how it’s used. I already have a Microsoft account. Do I need to create a new one to view an encrypted message? No. You can refer to Send, view, and reply to encrypted messages to learn how to sign in with your existing account and view an encrypted message. This procedure takes you through the process of creating a Microsoft account. Open the message in your Inbox. The subject line may indicate that the message is encrypted. The following screenshot shows a Gmail Inbox that contains an encrypted message. Note: You can use any email service, such as Hotmail, Yahoo, or Gmail, to view encrypted messages. After you open the message, you’ll see Message encryption by Microsoft Office 365 and an attachment called message.html. Open the attachment. Select SIGN IN AND VIEW YOUR ENCRYPTED MESSAGE. Select the option to create a Microsoft account. Fill out the Create an account form. You‘ll see your email address in the User name box. Review the summary page and select Verify your email address. You will receive a verification email. Open the verification email and select the Verify button to confirm your email address. Once you’ve verified your email address, go back and open the message.html file that you started with. 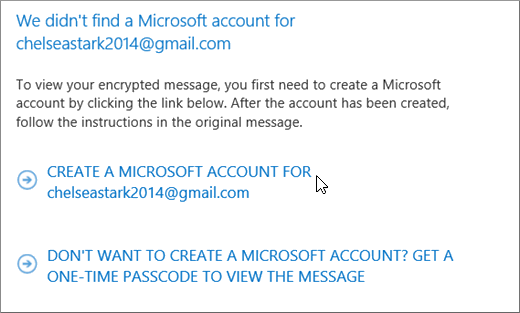 You can now use your Microsoft account to sign in and view the encrypted message.